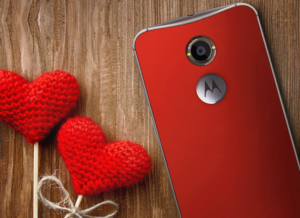 This last quarter, Motorola has managed to sell more than 10 million smartphones. Which going by recent history of Motorola, is quite a mark. The company has managed to increase its sales figure by 118 percent on an annual base – impressive! Judging by Motorola’s now increased market share, Lenovo has suggested that the company will be profitable, once again – by 4th quarter. However, no matter what Lenovo says, this cannot be accomplished with a snap of one’s finger! Motorola desperately needs an expansion plan for global presence. And from what believe, one factor that has greatly helped Motorola increase sales is Motorola increasing presence in the Chinese market. Motorola is launching the Moto X, Moto G and Moto X Pro in the Chinese market now. We must not forget the fact that Motorola will face a lot of competition from other tech giants such as Samsung, Apple and a lot of Chinese manufacturers, that may hinder its potential position in the Chinese market. However, the COO of Motorola does not share these ideas. He trusts that Motorola has a lot of potential and tools to become as relevant as others’ in the industry. Forbes made it clear what the COO is trying to portray – the fact that Samsung might be next in line after Blackberry and Nokia, as they lost their true top positions. Under Google’s ownership, Motorola constrained its smartphone industry to limit no more than 10 markets, but in contrast, now it is active in about 50 countries and has a plan to penetrate in another 10 to 15 this year. This reminds us that Motorola has showed a Snapdragon 810 powered smartphone which is expected to arrive in near future. We can’t speculate any final words for Motorola yet, what do you guys think? Is Motorola herding towards a brighter exit? Let us know in the comments section.